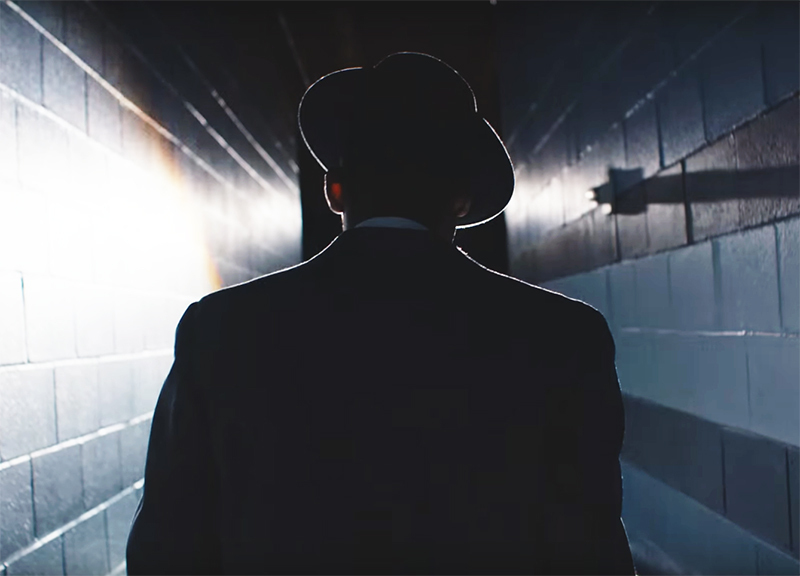 This Week, Leon Bridges Took It To The Limits and Scored Another Commercial. By now, you know the drill. Buzz Rankings is our Thursday column where we tell you that Leon Bridges has once again topped our list and then talk about all his great accomplishments from the past few days. This week is no different, because why would it be, really? 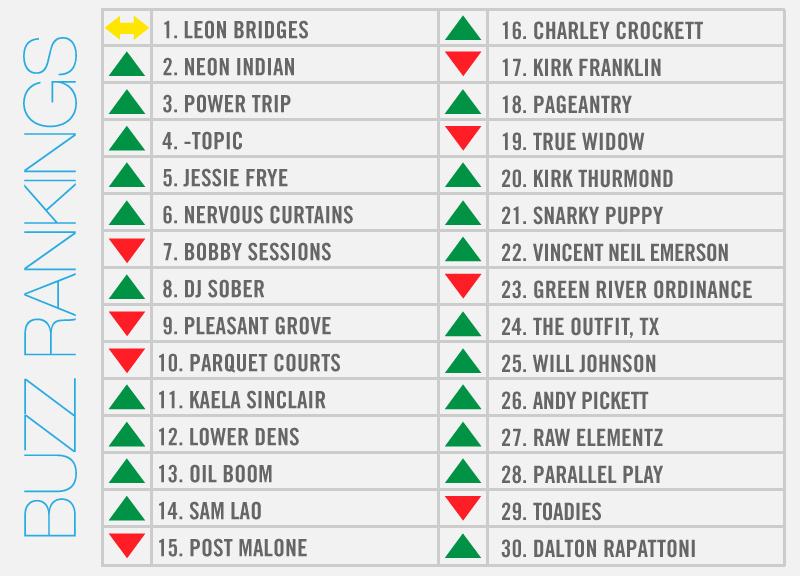 Today, he tops our weekly, local music power rankings for his pace-setting 20th time. For what it's worth, the honor is at least very much deserved. For starters, Leon released a special edition of 2015's Coming Home LP that features five new bonus tracks. Also, his episode of Austin City Limits finally aired. And this Sunday, he'll wrap up the week with a trip to the Grammy's, where his aforementioned LP is up for Best R&B Album. Pretty cool to see Leon's story told so succinctly, and with cameos from his bandleader Austin Jenkins, his backing vocalist Brittni Jessie and his photographer Rambo. Speaking of Leon: Joining him at the Grammys, for starters, will be Snarky Puppy and Kirk Franklin, who are just a few of the other North Texas up for awards this year. Neon Indian, for instance, earned his No. 2 spot by being one of the headlining acts at this summer's seventh annual Homegrown festival. Will Johnson, Kaela Sinclair, Kirk Thurmond, Pageantry and Bobby Sessions will be on that one as well. Similarly, True Widow and Power Trip were added to Spillover's lineup. The latter also opened for Lamb of God and Anthrax at The Bomb Factory over the weekend. And Lower Dens' sold-out Trees show was another of the week's big buzz-making gigs. Then there's acts like Pleasant Grove, Green River Ordinance, DJ Sober, Parquet Courts and Parallel Play, whose new albums, mixtapes and singles helped earn their spots on this week's list. Elsewhere: Vincent Neil Emerson and Andy Pickett entered the studio; Dalton Rapattoni earned a spot in the Top 24 on American Idol; and Oil Boom had a song on this week's episode of Lucifer.